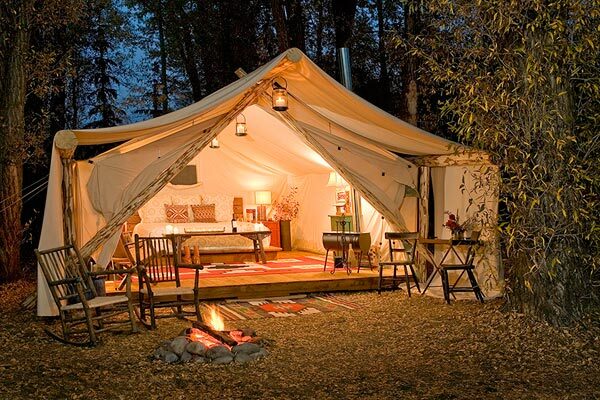 Today we are featuring some beautiful camping inspiration photos. 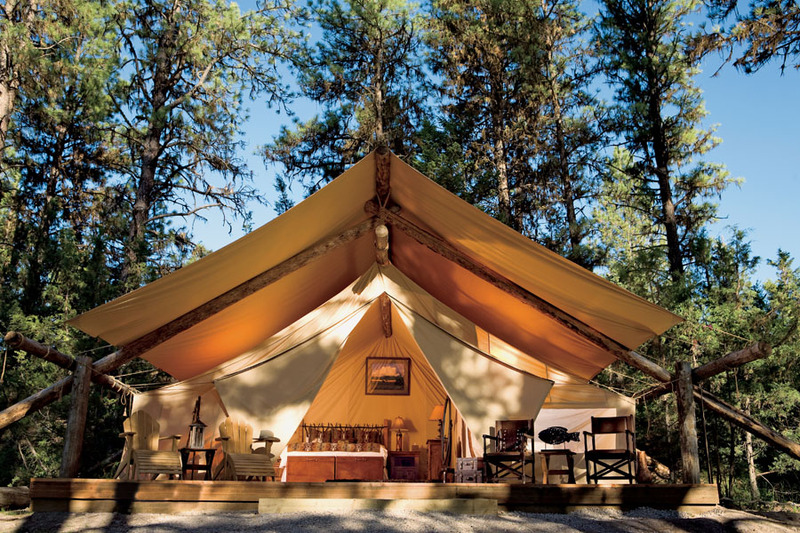 These people have completely transformed the average look of camping into something much more beautiful and luxurious, enjoy! 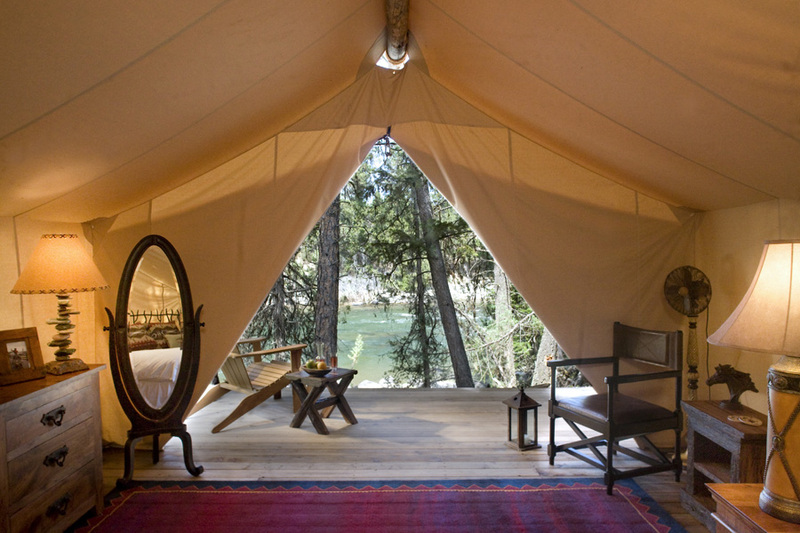 Now this is camping! 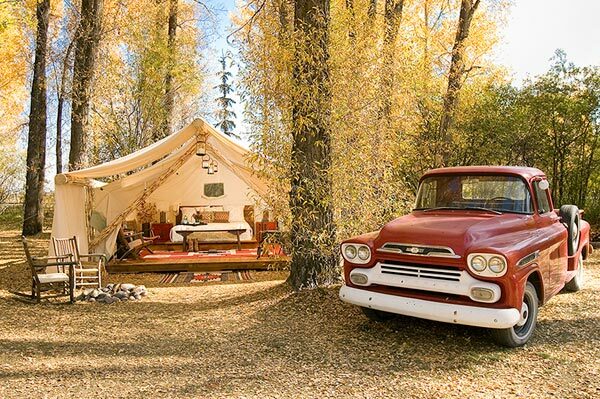 A vintage red truck, small fire pit in front, a beautiful open comfortable bedroom all exposed to the outdoors, what more could you ask for? 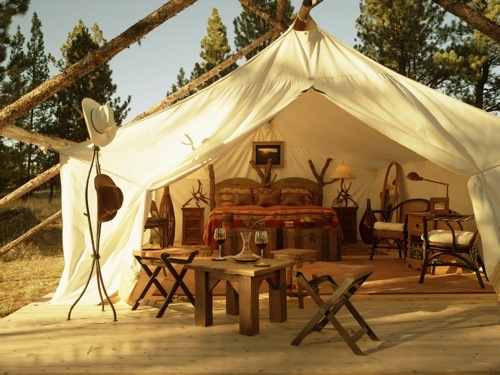 The interior of this tent is so well put together and cozy looking that you almost forget that the walls are made of fabric! 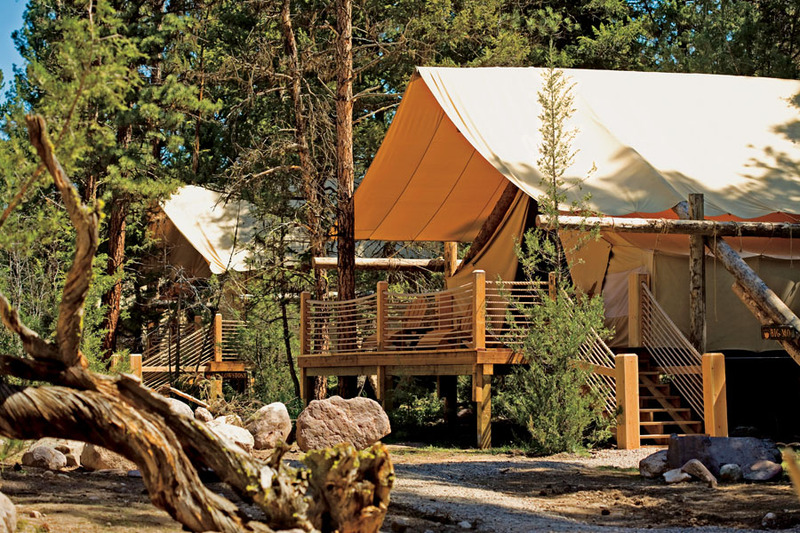 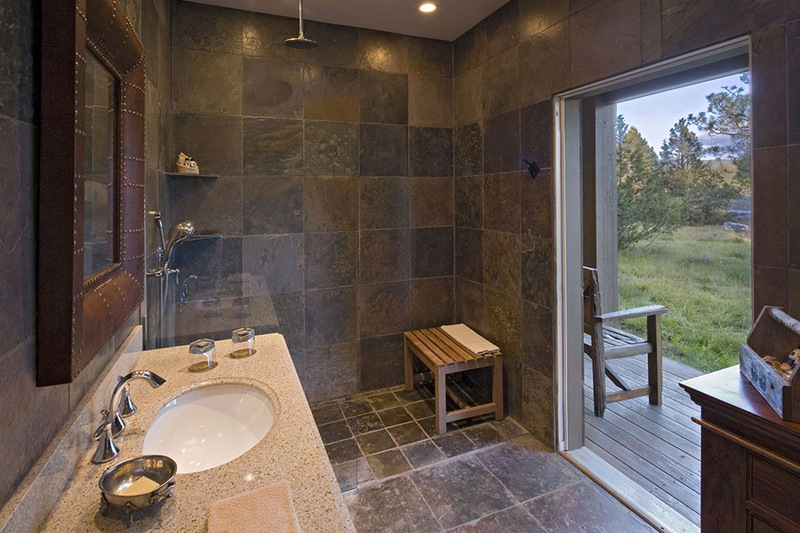 Located near the Blackfoot River in Greenough, Montana, the Paws Up Resort is a luxury camping site that supplies their guests with electricity, a spacious deck, nearby private master bathroom, twice-daily housekeeping service, scrumptious meals and even your own personal camping butler. 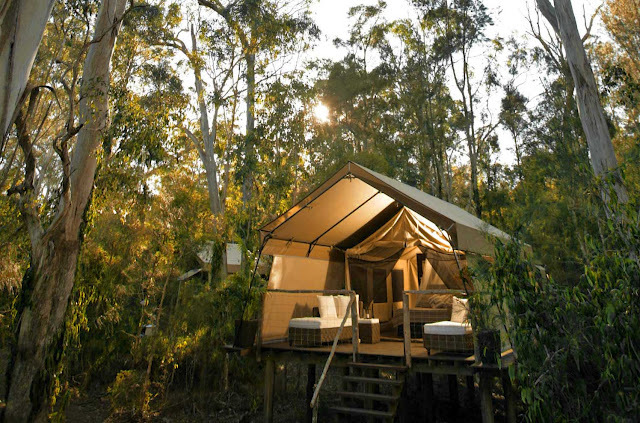 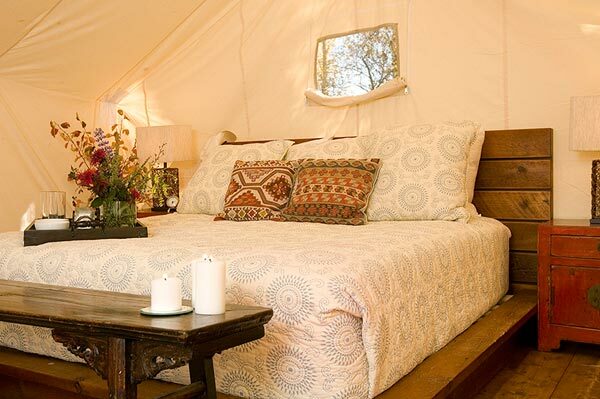 Below are some gathered images of fabulously designed semi-permanent tents from fellow blogger Lou Lou Pear. 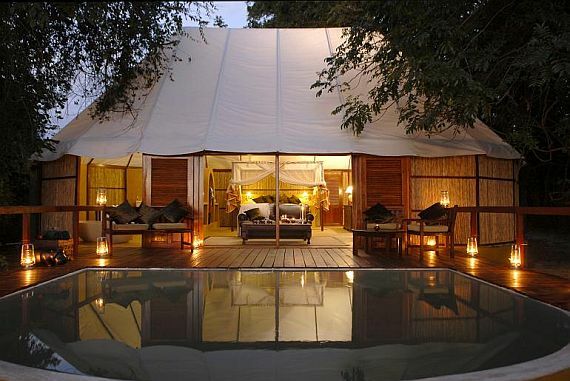 We especially enjoy the room with the great deck and pool located right at the foot of the bed, how luxurious! 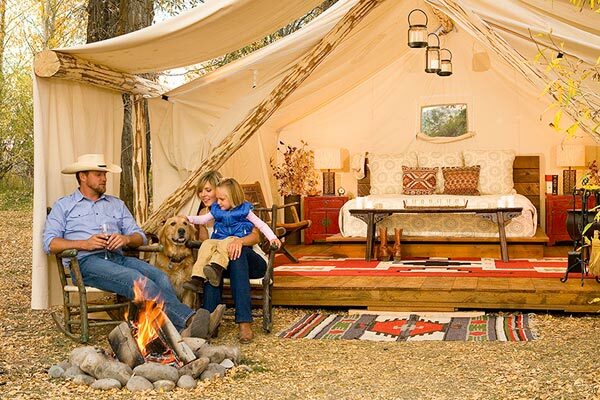 Compared to the photos above, the following inspiration photos are examples of more simplistic luxe camping, but still comfy nonetheless! 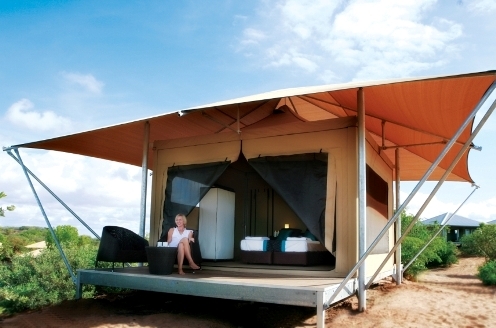 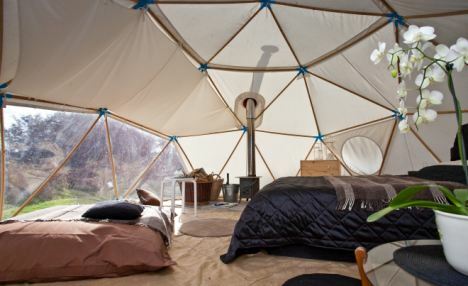 We love the geodesic shapes on the tent fabric in the photo below!